Please join us as we explore the latest trends in quantitative finance with industry experts. Applied mathematics and computer science have radically transformed the asset management industry as we know it. How does one separate the noise and hype from practical benefits that technology delivers when it comes to achieving consistent, risk-adjusted returns? Learn about factor based portfolio management, benefits of using the Bloomberg Quant Toolkit followed by an expert panel on Investing with Quant. Reception to follow. Eric Balchunas is Senior ETF Analyst at Bloomberg Intelligence. He writes research, articles and feature stories about ETFs, passive investing and smart beta for Bloomberg terminal and Bloomberg.com. Eric appears in a weekly on-air segment for Bloomberg TV and Radio called “Exchange-Traded Friday” in which he discusses different ETFs and how investors can utilize them. He is the author of “The Institutional ETF Toolbox” which was published by Wiley in March 2016. Deepinder Bhatia is Founding Partner and Chief Investment Officer of Bayard Asset Management LLP. After his undergraduate degree, Deepinder worked for a couple of years at Citibank in India. 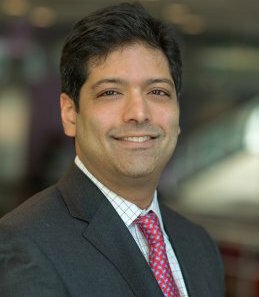 Deepinder’s investment career began after he graduated from Wharton in 1992. He started as a sell-side analyst at W.I. Carr in Hong Kong and subsequently moved to the buy-side at Merrill Lynch Investment Managers (now BlackRock) in Princeton, where he spent 10 years as an Investment Analyst at The Pacific Fund (1994-2004). From 2004 to 2010, Deepinder was an Investment Manager/Partner at Ironbound Capital Management, a global equity long-short hedge fund based in Princeton, NJ, founded by his former boss from MLIM. Deepinder founded Bayard Asset Management in January 2011. As a resident of Princeton, NJ, since 1994, Deepinder has been an active volunteer in the Princeton and local community. He was Founder-Chairman of the Investment Committee of the Princeton Charter School’s Endowment Fund, a Founder Charter Member of TiE- NJ-Philadelphia (The Indus Entrepreneurs) and currently serves on The Board of Trustees and Investment Committee of the Princeton Day School. He is a frequent speaker at investment conferences. Deepinder has an MBA in Finance from The Wharton School of the University of Pennsylvania, an M.Sc. in Economics from the London School of Economics and a B.Com. from University of Mumbai. Deepinder qualified as a Chartered Accountant from The Institute of Chartered Accountants of India and is a CFA Charterholder. Kartik Ghia is the Co-Head of Systematic Strategies Research at Bloomberg and is working on the build-out of Bloomberg’s investible factor offering. He has published extensively, with a focus on systematic investing and portfolio construction. His product development experience includes risk premia strategies across asset classes and covers both ETFs and swap-based products. Prior to Bloomberg, he worked at Barclays as a cross asset researcher and JPMorgan as a currency strategist. He has an MA from Oxford and received his Ph.D. in Statistics from The Wharton School, University of Pennsylvania. Dr. Sharon Hill heads the firm’s equity quantitative research team in the Americas and is a member of the firm’s asset allocation committee, which is responsible for building and managing multi-asset class portfolios. Dr. Hill joined Macquarie Investment Management (MIM), which includes the former Delaware Investments, in 2000 as a senior programmer/analyst within the IT department, and then moved to the equity group as a quantitative analyst in 2002 before assuming her current position in 2004. 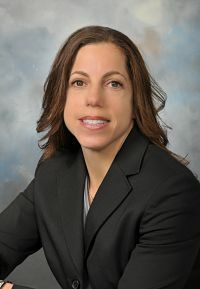 Before joining the firm, she worked as a professor of mathematics at Rowan University and as a software developer for Bloomberg, where she focused on fixed income applications. 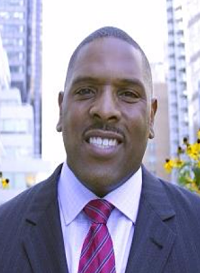 Dr. Hill holds a bachelor’s degree, with honors, in mathematics from the City University of New York at Brooklyn College, as well as a master’s degree and Ph.D. in mathematics from the University of Connecticut. Her academic publications include work on water waves, complex spring systems, and global investments. She is a member of the Society of Quantitative Analysts and she is on the program committee of the Journal of Investment Management. 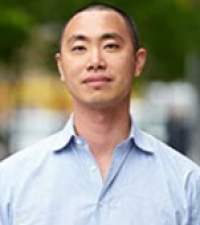 Dr. Desmond Lun is the Founder and CIO of Taaffeite Capital Management. 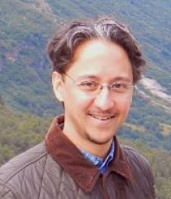 Dr. Lun is one of the leading global authorities in mathematical models that predict the behavior of biological systems. Prior to joining Rutgers University in 2010, where he is now a Professor in the Departments of Computer Science and Plant Biology, he was an Associate Professor in the School of Mathematics and Statistics and Director of the Phenomics and Bioinformatics Research Centre at the University of South Australia. From 2006 to 2008, he was a Computational Biologist at the Broad Institute of MIT and Harvard and a Research Fellow in Genetics at Harvard Medical School. Dr. Lun received his Ph.D. in electrical engineering and computer science from the Massachusetts Institute of Technology (MIT) in 2006. Dr. Lun’s scientific accomplishments includes several U.S. patents and co-authoring the book Network Coding(published in 2008) and over 30 academic papers, which have collectively received over 4,000 academic citations. Mr. Mitchell joined Bloomberg in 2009 as an Equity Market Specialist. He focuses on quantitative equity strategies, and equity derivatives. In this capacity he interacts with buy-side and sell-side portfolio managers, analysts and traders to support all related analytical, market surveillance, and transaction-related functionality available via the Bloomberg Professional Service. 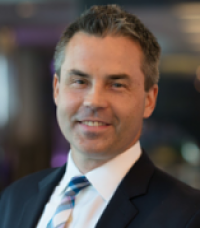 Prior to joining Bloomberg, Mr. Mitchell worked as a Managing Director in the Structured Equity Products group at Bear Stearns & Co. His team was responsible for idea generation, structuring, and distribution of structured investments and derivatives including ETNs, and systematic strategies. Previous to joining Bear Stearns, Mr. Mitchell worked for Deutsche Bank and Merrill Lynch in equity derivatives sales and structuring. Mr. Mitchell has a BS in Electrical Engineering from the University of Maryland and an MBA in Finance and Statistics from the NYU Stern School of Business. Milind has 20 years of market experience. For 3 years prior to launching QuantZ, he managed a Prop Trading desk at RBC (now Taursa spin out) where he served as Portfolio Manager for Quant EMN, Short Term & Event Driven portfolios (up to $700mm gross). For the 2 years prior to that, he served as Director and Senior Proprietary Trader at Deutsche Bank (now SABA hf) where he managed Quant EMN portfolios of significant size with input in Event Driven and larger Capital Structure Arbitrage desk mandates (under Boaz Weinstein). Prior to that he was co-founder of Quant Strategies at MLIM (now BlackRock), where his investment role spanned a dozen quantitatively managed funds & separate accounts with approx $30 Billion in AUM. The ML Large Cap Series funds (with MLIM President & CIO as Senior PM) were all 5* rated, in the Lipper top 5% & won several WSJ + Morningstar awards by the time of his departure. His Quant Strategy oversight included all of MLIM Alternatives (HedgeAccess, FoFs, HFs, Enhanced index etc). Prior to MLIM, he was Manager of the Risk Analytics and Research Group at Ernst & Young LLP where he was co-architect of Raven TM (one of the earliest derivatives pricing engines) & co-created the 1st model for pricing cross-currency puttable Bermudan swaptions. He also created the AIRAP risk-adjusted performance measure for hedge funds. 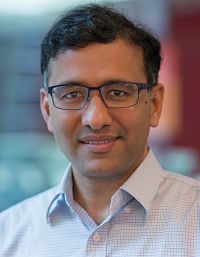 Milind has an MSCF and an MS in Applied Math from the pioneering financial engineering program at Carnegie Mellon University where he was also in the Doctoral program in Logic (AI). Other education includes Wharton, Vassar and Oxford. He has published extensively on hedge funds (JoIM, Risk Books, Wiley etc.) and is a frequent speaker at conferences. Dr. Arun Verma joined the Bloomberg Quantitative Research group in 2003. Prior to that, he earned his Ph.D from Cornell University in the areas of computer science & applied mathematics. At Bloomberg, Mr. Verma’s work initially focused on Stochastic Volatility Models for Derivatives & Exotics pricing. More recently, he has enjoyed working at the intersection of diverse areas such as data science (with structured & unstructured data), innovative quantitative models across asset classes & machine learning methods to help reveal embedded signals in financial data.